In 1995, two areas along Mosquito Creek were identified and two channels were constructed as restoration projects to improve salmon habitat. Much effort has been given to restore and conserve the Mosquito creek watershed. 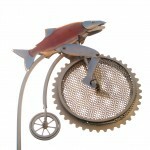 The areaʼs restored Coho salmon habitat channels see bright red spawning salmon making their way upstream every year. The location in front of the new water garden can create a sense of possibilities by inspiring the imagination and sense of wonder. 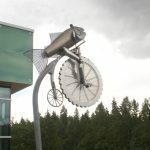 This artwork celebrates the unique flavour of the area in a memorable and uplifting interactive kinetic water sculpture. 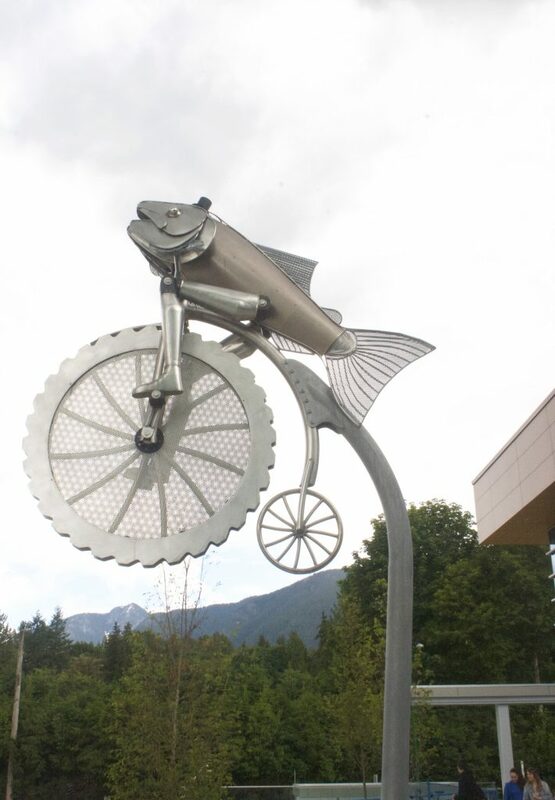 In North Vancouver salmon have learned to use “fish ladders”. What would it be like if they could ride bicycles? The new community centre seems like the perfect spot for this to happen. The landscape design for a water garden connects the community to the surrounding natural environment and dynamics of interconnected living systems. The sculpture is a hybrid form that combines nature and humanity in a unique context that echoes the intent of the landscaping. 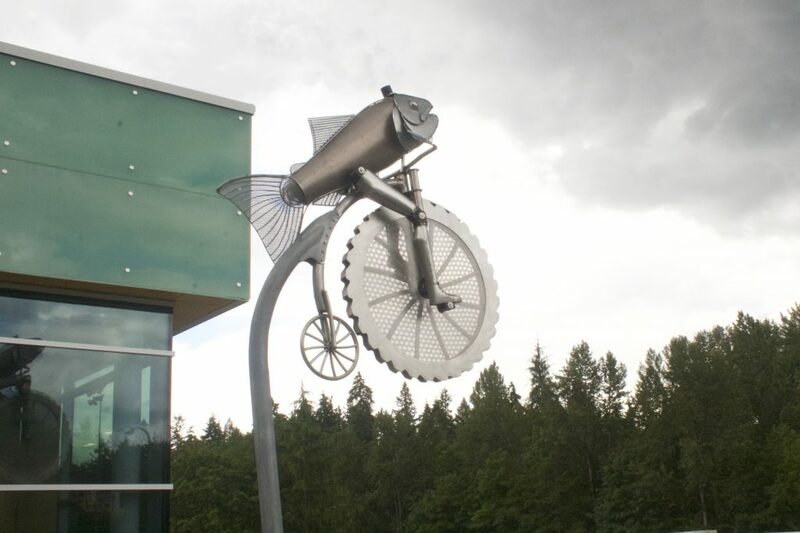 The artwork speaks of the adjacent watershed and the balance of human activity and the natural surroundings. The artwork most of all is playful and whimsical. 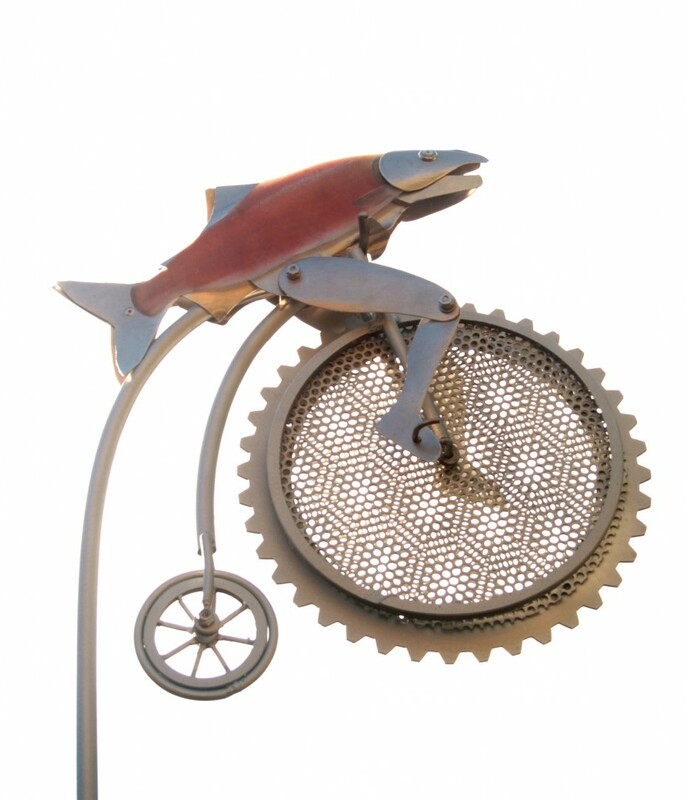 Human activity is connected to the struggle of the salmon. We assist, we help the salmon on their path. The artwork alludes to all of this.